Spring is almost here. 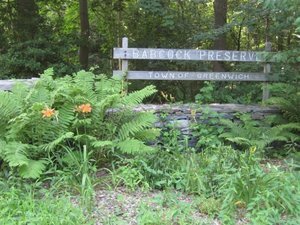 Get up, get outside and join GLT for a medium intensity hike through the town’s Babcock Preserve to GLT’s Westfall Preserve on North Street, Wednesday, March 20 @ 2:00 - 3:30 pm. This vast 300-acre tract of forested land contains an enormous variety of plants and animals and is being deliberately maintained as a natural conservation area. Come enjoy this special place, observe the flurry of amphibian activities happening in vernal pools and ephemeral streams, and witness the emergence of spring!